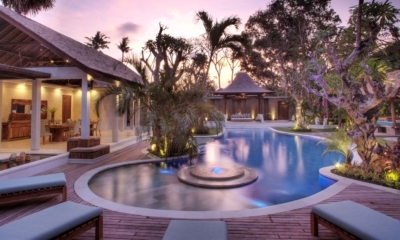 The beautiful two-storey Seminyak villa Hermosa offers something for everyone – including children. Of the four bedrooms that accommodate eight people, one offers a special kids’ room that is sure to make your little ones feel as special and pampered as you will in this luxury accommodation. 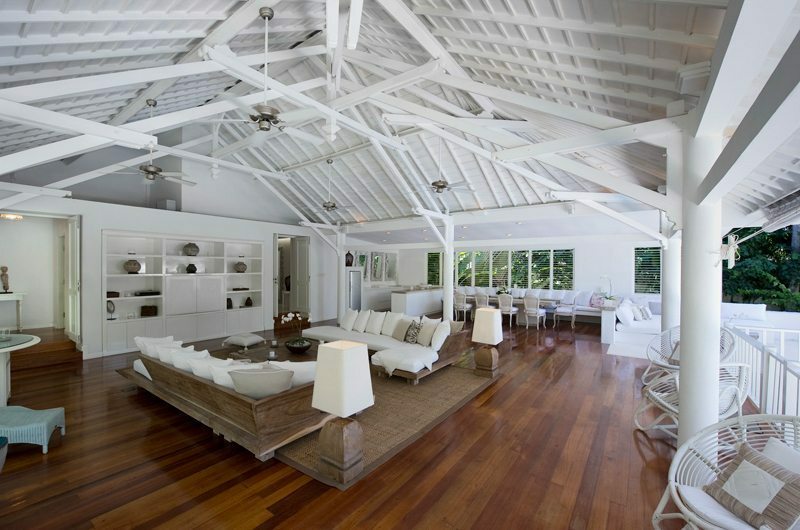 Throughout the villa, the white décor with wooden furnishings create clean lines that combine the convenience of easy modern living with the beauty of the traditional local artwork that provides the finishing touches of the villa. The spacious rooms are emphasized by the open-plan design with incredible views all around while the stone terrazzo bathtubs are ideal for a long and refreshing soak at the end of each day. 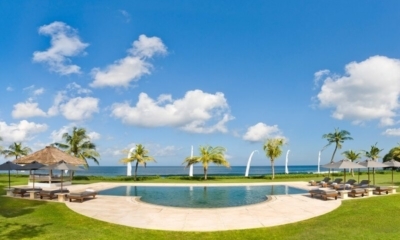 Outside, the magnificent tropical gardens create a relaxing atmosphere in which to revive yourself. With a pool bale for your comfort or your choice of sun-loungers, the private pool is the perfect place to kick back with a book or a cocktail and a friendly chat anytime of the day. When hunger starts to take over, enjoy a sumptuous meal prepared in the fully-fitted kitchen or head into town to sample one of the many restaurants that are a mere five minute walk from this sanctuary. You can also explore the numerous spas available in town If you’d like to explore further abreast, a private car and driver are available upon request. Whatever your needs, villa Hermosa has it all: luxury accommodation, modern convenience, tranquil privacy and easy proximity to the centre of things in town. This is an oasis you’ll never want to leave. The perfect Seminyak 5 bedroom villa with cool kids room. Great for bigger groups.